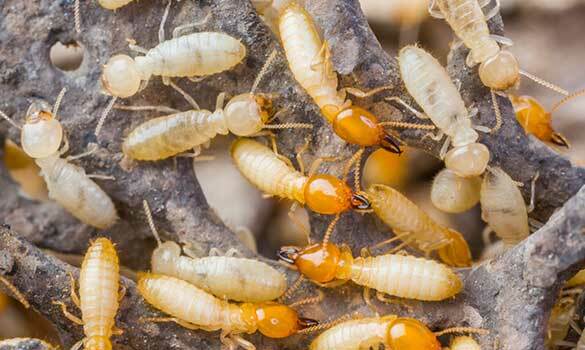 Termites eat wood and can cause significant structural damage to your property. Homeowner’s insurance policies do not cover destruction caused by termites, even though they cause over 6 billion dollars in damage to homes throughout the United States each year. At ACME Pest Management, Inc., our termite control, inspection and treatment program can help you understand the threat of termites and take the necessary steps to protect your home. 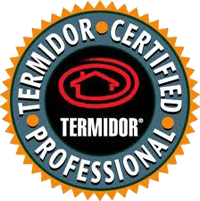 Termidor® is America's #1 termite defense product, and there’s simply no other termite control product that works better or delivers more reliable termite protection. It can only be applied by qualified professionals and is formulated and manufactured by a company that cares and stands behind its products. To control subterranean termites, a liquid Termidor termiticide / insecticide termite treatment is applied along the exterior perimeter of your home. The treatment uses time-tested application methods at very low rates. It is virtually odor-free and won’t cause any disruption to your family’s normal routines. Termidor binds tightly to the soil to create the “Termidor Zone.” Since this protective termite treatment zone is undetectable to termites, termites can’t avoid it and will not try to find a way around it. When termites eat Termidor treated material, they will die. It kills termites by contact as well. Whenever a termite touches Termidor, it can become a “carrier,” transferring Termidor to other termites it contacts and spreading it throughout the colony. This unique “Transfer Effect™” is one of the reasons no other termite treatment can control termites like Termidor. Regular follow-up inspections and monitoring are the keys to maintaining your Termidor protection and controlling termites over time. Your pest professional may place monitoring devices around your home to detect potential new termite threats. Buying or Selling a Home? We offer competitive pricing and professional assistance for your letter of clearance needs. We guarantee a timely and accurate inspection and provide coverage for the home after closing. Building a Home or Building? We offer pre-construction termite treatment services.